More a phenomenon than music, БАЛДЬОЖ differs from the other bands exactly as your everyday speaking differs from your essay writing, respectively – these girls are capturing the thoughts intact and retranslating them into what was once considered as lyrics, reducing the latter to something not primitive but primordial, based on instincts and reflexes of a modern man (of course, with the strong feminine adjustment). It makes their songs often unbearable but at the same time magnetic and exceptionally understandable to anyone – not a bad advantage when it comes to reaching the wider audience or interacting with it by singing along and so on. Somebody has even coined the fake genre “instagram pop” to describe the Generation-Z twosome’s efforts, and that’s the most accurate definition we have ever seen. On the other hand, there’s nothing revolutionary in this record. The same music in Russia is produced in enormous amount every year, becoming an annoying reality: just look at the Ionov’s label massive catalogue or every second post in Rodnoy Zvuk. The only thing that lets БАЛДЬОЖ to stand out is unusually high quality of production for such kind of works, but one cannot deny that was quite enough to raise it to the level of art. Their appearance and nature share many things in common with Пошлая Молли, so the both bands might share the same fate too what is a dire prediction because Kirill Blednyi’s band now looks musically pretty exhausted. But БАЛДЬОЖ’s style and approach, though not so immediate-success-oriented, has more space to evolutionize meaning the most intriguing releases are yet to come. БАЛДЬОЖ on Soundcloud, Facebook, Instagram. Speaking of bass, many have noticed the longplay’s similarity with The Cure and early Скрябін (which was also inspired by The Cure at that time), because of Simon Gallup-esque chorused, flangered pick-style basslines. By the way, the Park, Squares and Alleys leader Sergey Khavro himself experiences some direct or indirect influences from The Cure (he has even a song named “Forest”, lol), but they’re visibly floating to the surface only in Pereulok Pyatniskii landscape-like instrumentals. But that’s not all: just imagine the vocal line added over the fourth track (“Better times”), and you’ll get that mercurial dreampunk, once invented by youth resort, homeboy in luv and other cutting-edge St. Petersburg lo-fi outfits. Pereulok Pyatniskii on Soundcloud, Facebook. It would be no exaggeration to call YUKO (a duet formed by Yulia Yurina and Stas Koroliov, both the contestants of “The Voice of Ukraine”) the face of Ivan Dorn’s “Masterskaya” label. Started out as unpolished folktronic experiment, now they had significantly developed their palate which led to music became much more sophisticated. With the involvement of Igor Biryuchenko (“YEYO” drummer) as a tour member, YUKO smoothly mutated into upgraded and ethnicized YEYO 2.0 twin (even caps lock is in its place, huh?). That’s neither a good nor bad thing, of course – particularly as the original rave nature of Yurina-Koroliov scenius continues to be well-preserved. YUKO on Soundcloud, Bandcamp, Facebook, Instagram. The Wojcech Dzierzynski comeback’s salute after the breakup of outstandingly elegant but tied to the hipster era Dzierzynski Bits. Though Оркестр Дзержинського (alternative Cyrillic spelling of the band’s name) even in our days could still have a lot of unexploited potential, the assembling of far more modernity-adapted Адвокаты was a smart move. The downside is their debut catchiness fades over time, illustrating a comparatively superficial treatment of music-making. Anyway, don’t miss the suprematist “23:45” footage – one of the most captivating Ukrainian lyric videos in the last 12 months. Адвокаты on Soundcloud, Bandcamp, Facebook, Instagram. Usually we don’t highly value music designed for chillin only, but this is maybe its best example. 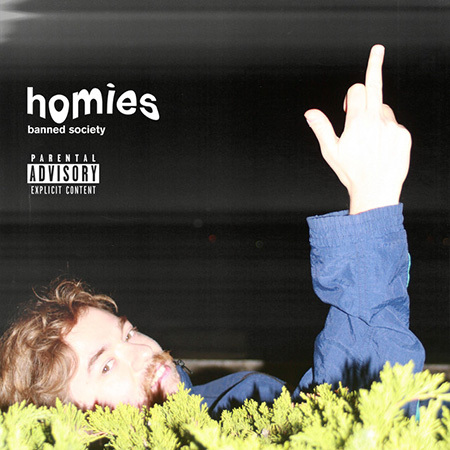 Dnipro city great young hope Banned Society must really keep pace with the times as “Homies” is surprisingly consonant with all that near-hip-hop and R&B stuff promoted this year by Pitchfork and Billboard listicles. Funny thing, ПОТОП (probably the most critical Ukrainian music journal) shares exactly the same opinion, though concerning the project’s previous longplay “Candy” (BS released two whole albums in 2018), a little less attractive, from our point of view – but that’s saying something, right? banned society on Soundcloud, Bandcamp, Facebook, Instagram. Pree Tone belongs to the layer of the darkest, deepest Ukrainian indie underground, assembled by bands like Bad News From Cosmos, Настя Вакуум, DIAKOVA, Bichkraft to name a few. In parallel, exactly the same scene exists in Russia and, to a lesser degree, in Belarus, presented by such names as Chikiss, Kedr Livanskiy etc. Meanwhile, even commercially successful ЛУНА originally was rather a part of that movement (and now, ironically, she’s the textbook example of what an average marginal musical genius would look like if achieved fame). 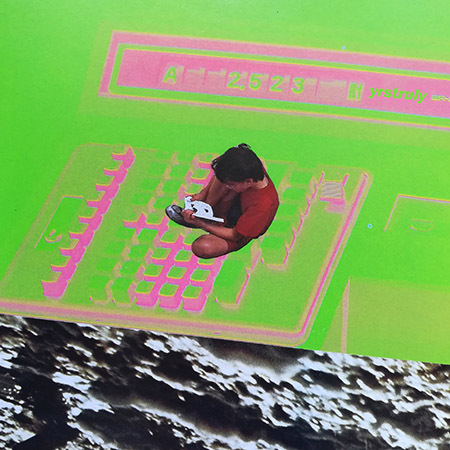 Despite the geography, they all are invisibly connected and constitute a separate, isolated continuum full of contradictions remaining, on the one hand, more obscure than any homemade bedroom pop project and, on the other, becoming the only residents from their countries, reviewed in iconic Pitchfork. As a phenomenon it even predates so-called “new Ukrainian indie wave”, emerged in 2014 (one of the original bands, Twiggy Pop, was founded 13 years ago! ), and the base of their philosophy have always been conserved: well perceptible atmosphere of provincial post-soviet suburbs inhabited by ghosts of pioneer camps, destroyed monuments relics, burdening spirit of Chernobyl and semi-abandoned Perestroika multi-storeys, sometimes complemented by basement-sounding raw guitars and hissy reel-to-reel-mocking style of recording – being embittered and romantic simultaneously. There is another side of a coin: their music, unadapted to change, hardly can keep up with our rapidly evolving epoch, so does the Pree Tone, following in rather On The Wane’s footsteps with its pseudo-shoegaze of traditionally Ukrainian perspective (somehow necessarily with that depressive mood, endless psychedelic meditations and Sonic-Youth-for-the-poor impurities). At some moment the improvisation flow is starting to feel like low-end My Bloody Valentine, which looks a bit more time-relevant. But the topicality doesn’t play a central role here – in any event, the Pree Tone’s affiliation with some kind of the local scene’s “elite club” alone means they deserve to be heeded and respected. Pree Tone on Soundcloud, Bandcamp, Facebook, Instagram. The first thing you should know about OmodadaGee is it’s the maternal band of Lesik Omodada, a genius of future groundbreaking collective Tik Tu, which was largely built exactly on earlier OmodadaGee’s findings. In 2013, with the debut disc released, the prophetic duo was way ahead of its time, diligently recreating 90’s spirit – and that’s two (if not three) full years before the trend actually came into vogue all over the world! 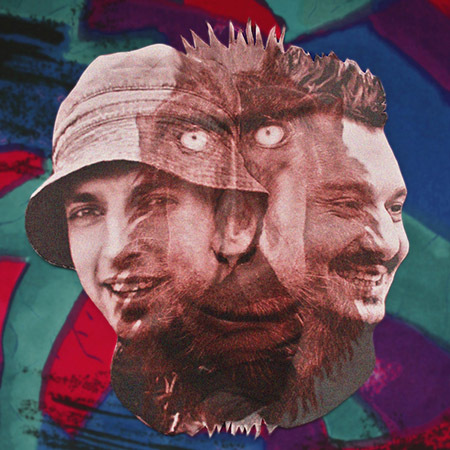 Second, these two, perhaps, remain the humblest act among other indie-generation Ukrainian groups, usually highly sought after by local journalists. Focused on music alone, they’re humble even in naming: “Tretiy” simply translates as “the third one”, with no particular meaning given. Stylistically not so brilliantly crafted as its predecessor «У Містах», the EP still has those fancy grungegaze/madchester elements, this time eclectically coupled to indie-folk guitar harmonies («Там») and wholly neopsychedelic kind of things like «Найкращі Моменти», indubitably brought by Lesik from his one-album solo project Omodada (which was the flawless Galician answer to Pond – if you’re the Australian madmen true fan, don’t even think about missing it). And now, if you’re here, we’d gladly redirect you to this year Jamala outing known as «Крила», which’s not included in beehype’s “Top-14” (cause pure pop is always hopping on the last train when it comes to music fashion – our key criteria used in compiling this rating), but contains one more Lesik creature – a track called «Незнайомець», also produced and arranged by Omodada. Incidentally, back in the day I predicted the acclaim and future importance of both Lesik’s indie endeavours – and it really happened with Tik Tu, which are now preparing to their first European tour. And we’re sure OmodadaGee could still follow them, with the help of wise sound/visual stylization and proper mass-media support. OmodadaGee on Soundcloud, Bandcamp, Facebook, Instagram. The homeland’s misunderstood genius, Nikita Ogurtsov, wasn’t as lucky as his foreign DIY-fellows Will Toledo or Robert Pollard. The guy from small town Ozerne didn’t get proper attention neither in Ukraine nor in Russia, even though he had been churning out the albums with the lightning speed (the exact number is unknown, but much more than twenty since 2011 to 2016!) and international level quality ambitions. So after the hiatus of Phooey! (Nikita’s main and the last band) announced, young multi-instrumentalist fled Russia and seemingly disappeared. Now the Husker Du-raised wonder kid greets us from France, where he started his newest, incomprehensible to a common man outing yrstruly, while suffering from depression caused by acclimatization process. 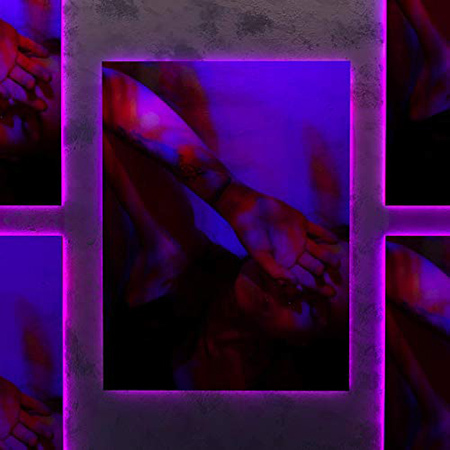 Its debut bears an unusual, deconstructive concept, where every canvas is ostentatiously cut and unfinished, paying the obedient tribute to the consumerism way of listening with its widespread will to skip, fast-forward, devalue and randomize everything. yrstruly lets you choose whether you want to repeat some verse or not, and how to finish any of the pieces. You have all the freedom. Such kind of “interactive song structure” suggests the real novelty and thus importance of “I” that any music media just can’t ignore. yrstruly on Soundcloud, Bandcamp, Facebook. The one who stands under the Moonk moniker is none other than Andriy Savdeyev, ex-member and leader of several typically Kyiv styled outfits like, inter alia, indie-folk PIVNICH or post-brit-pop/garage rock Синя Вапа. Andriy’s ever-morphing alter ego is constantly breeding the broad spectrum of projects (frequently of literally one-day lasting: the whole album can be made or sketched within few hours and then put in a drawer at the same evening; thank heaven, we are fortunate enough in music digging to collect all his pieces before they’re gone) and arrangements, but the core, originating from the artist’s student years and specific Kyiv-Mohyla Academy community (the second oldest and one of the most reputable universities of the state), with all its “arrogance and elegance”, remains unchanged. I mean, if you’re familiar with the catalogue of Синя Вапа, it would be easy to spot its vestiges in, for example, “Odin Za Vsih” refrain and so forth. Similarly to Зэ Джозерс, Andriy loves to reimagine his own ideas, so many of the songs here can boast of long long history of style rebirths and truly perfectionistic iterations (oftentimes they lead to a sense of something tuckered out, overworked but generally it makes the sound as honed as possible). 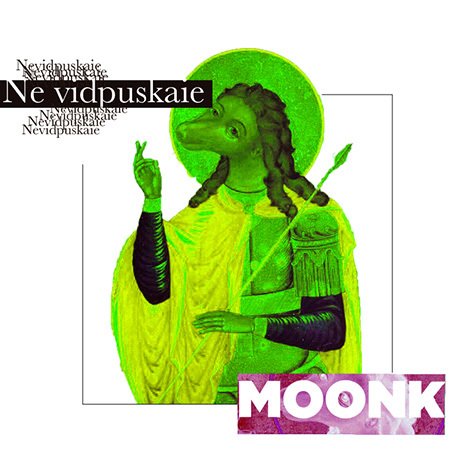 “Ne Vidpuskaie” declares itself as the first “official” (after years of unreleased demos) and pilot Savdeev’s entering into the slacker generation territory, showing us barely 40-50% of what Moonk is capable to do. As of now it’s among the most promising Ukrainian projects with tons of ideas in his coffers, and every next release proves it – you can check for yourself, just watch Andy’s latest hypnagogic nugget directred by famous Alexander Fraze-Frazenko. 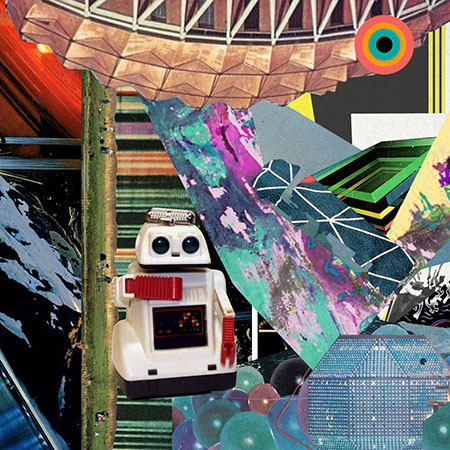 Moonk on Soundcloud, Bandcamp, Facebook, Instagram. In her latest extended play GROZA (formerly Ira Grosu) goes dorn-pop (a real term made up by vk critics “in honor” of the one who you just thought of) and it’s genuinely strange (perhaps even shameful – for the label, of course) these tunes weren’t intercepted by Masterskaya. The third ex-participant of The Voice in our top, Ira demonstrated possibly the fastest self-development as an artist metamorphosing into shining post-chillwave pop queen with equally iridescent melodies. 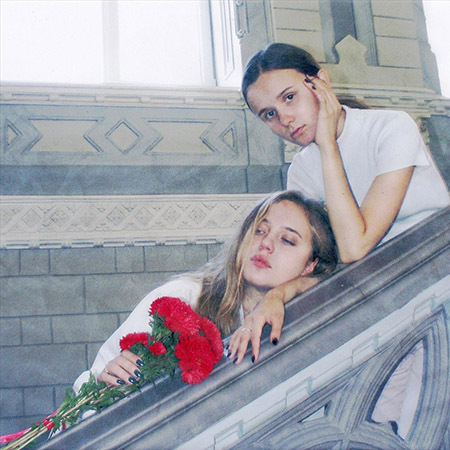 The most unique for 2018’s Ukraine, no doubt, sound neighbouring with the simplicity of structures and millennial youth-attuned verses or visuals offer a chance for GROZA to soon become a new sensation accepted by both demanding media writers and the masses. 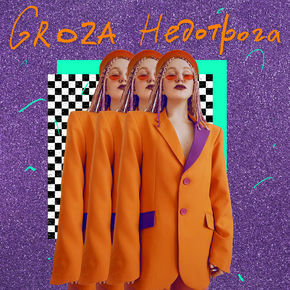 «Недотрога» contains only a fraction of numerous works self-released, -designed and -mastered by Odessa-born, academically jazz-trained vocalist who now explores totally different streetwise, fully electronic world of rave, house, cloud rap – I suppose, it is this instant out-of-the-comfort-zone turn that caused her music to be so fresh. GROZA on Soundcloud, Facebook, Instagram. It has become a tradition if Maxim Sikalenko decides to record a new album, it will reach the status of the best electronic product of the year. Cape Cod has always been the intermediate link in modern Ukrainian scene – its high-IQ house seems too complex and artsy for the club culture and too EDM-associated for pure indie part of electronic community. To some degree, all Maxim’s efforts are trapped between those two worlds, remaining not addressed to anyone; in contrast, it means the material’s universality too. 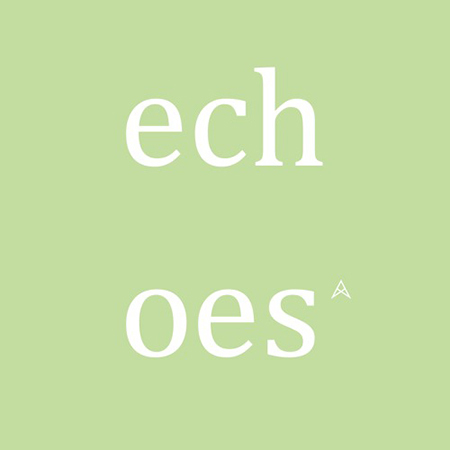 And, what is more important, the precisionist nature helped the Cape Cod’s founder to take “Echoes” to new heights, recalling once again that he’s way out of his genre’s league. Here it is – at times a wee bit boring, but the only uncompromisingly world-class musicianship we have to offer you right now. Cape Cod on Soundcloud, Bandcamp, Facebook, Instagram, Twitter, www. That’s what happens when Kraftwerk-inspired machine music amalgamates with the today’s memetic translation of КУЧМІЗМ (named after the rule of Леонід Кучма, the godfather of all the present-day Ukrainian oligarchy) – specific politics propelled, day-trouble-centric 00’s zeitgeist with the appropriate culture and art, unique and endemic to Ukraine. This way, the nostalgia for it is the almost metamodernistic resurrection of a totally post-modernistic period – which is the extraordinary thing in itself. 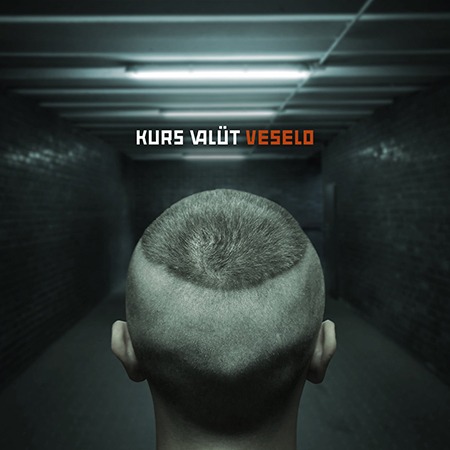 The Kurs Valüt founder, indefatigable Eugene Gordeev has not confined himself to just one band – and his less-known alias, extremely underground MC Брехунець looks even more exciting and kuchmism-focused (sadly, it doesn’t have even a hint of something that looks like a tracklist, despite the significant number of works released; that’s the reason we’re reviewing Kurs Valüt instead of this). Брехунець (“brekhunets”, literally – “a little liar”), a word almost forgotten now, 20+ years ago was a slang term for the wired radio – very cheap speaker with one or two channels, which had sometimes been the only source of information in totalitarian USSR (and even in early independent Ukraine from 1990s till mid-2000s, if we’re talking about the poor, elderly and peasants). All Eugene’s output represents something indigenous, distinctive, reflecting the true (and not always good) Ukrainian identity and domestic folklore of nowadays – that’s why “Veselo” is a landmark release, possibly the most landmark you can find in any 2018’s “best-of” list (not counting Курган`s masterful maxi-single «Бiблiотека странних знанiй», whose aesthetics seems too marginal for us, however). Kurs Valüt on Soundcloud, Bandcamp, Facebook, Instagram. Actually, I haven’t listened to it yet. I’m too lazy. But even a cursory glance at the latest record of ЛУНА is enough to reveal that we’re dealing with top-notch songcraft. Add to that, Christina, ЛУНА’s voice, suddenly came to me in strange dream month or two ago: she appeared as some lady-friend of mine, dressed in deep blue; we were childishly chewing the sort of expensive-looking candies, talking about PR and watching the premiere of her new (and, from what I observed – a pretty defiant) video*. Finally, she bought a plane ticket and left the country forever. But wait, the LP’s title itself translates as “Enchanted dreams” – what a coincidence! So I just decided to place «Заколдованные сны» here. Especially considering the album’s beautifully filmed banger «Спящая красавица» has got unanimously warm feedback from all our great beehype team! And look: whilst the trademark LUNA composing manner hasn’t gone anywhere, she now enriches the arrangements up to almost-canonical synth pop (the opening tune has some Stepan I Meduza vibes; «Виражи» sounds a lot like late-90s Скрябін of “Techofight” period, etc. ), little by little distancing herself from entirely minimalistic aesthetics of Natalya Vetlitskaya-era Russian scene and well-established lofi-pop-diva image. From this standpoint, ЛУНА’s music evolution through her current and the nearest future works may be an amazing, unpredictable journey. Let’s listen to it together! *The further story has turned out to be even more surprising. While this text was being prepared, ЛУНА really uploaded new video, quite similar (even in color toning – except maybe the audiotrack itself, whose tempo was faster in my case) to that of my dream’s episode. ЛУНА on Soundcloud, Facebook, Instagram, Twitter, www. To be frank, the Ukraine’s 2018 wasn’t a great one in terms of music. Not as successful as 2017 and of course twice as less interesting than 2016. All the above-mentioned positions can be easily shuffled to a random order meaning they are equally noteworthy, but at the same time it’s hard to find something that would stay with you for a long time. In that regard, Зэ Джозерс’s “Сложные машинные биты” is a clear winner (even though its vocal is completely cellphone recorded!). The recent trio, now reduced to a couple of bandmates, had managed to give birth to the quintessence of conceptuality in our “seriousness-resistant” times (so much so that many people think of it as a subtle post-irony). But more importantly, it doesn’t matter what the concept is and whether you share its idea or not – the music, as a universal language, speaks for itself. Honesty and sincerity here are driven to the cry of despair – amidst all this constellation of Ukrainian artists, performers and composers, Serhiy Voronov is the only one who we want to believe. Зэ Джозерс on Soundcloud, Bandcamp, Facebook, Instagram.